As a pilot of historic racecars, Hans Herrmann still takes part in many vintage car events for the Porsche Museum. Stuttgart. Hans Herrmann, one of the most successful and best known works racing drivers at Dr. Ing. h.c. F. Porsche AG, will celebrate his 85th birthday on 23 February 2013. Born in Stuttgart in 1928, this long-distance specialist was considered one of the most successful and dependable racing drivers of his era. His motorsports career lasted from 1952 to 1970, during which Hans Herrmann won over 80 overall and class victories. 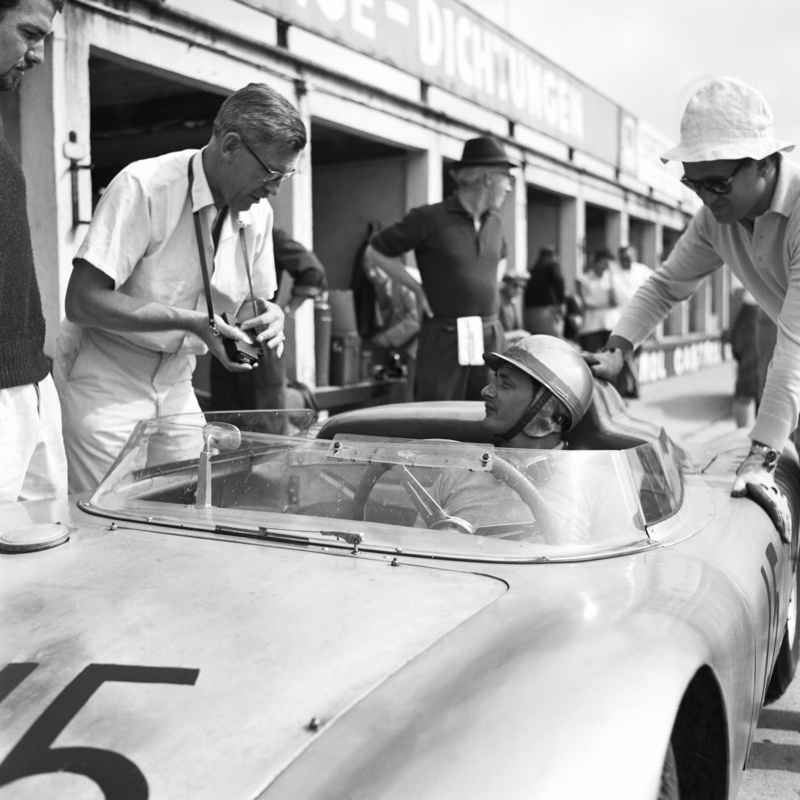 Hans Herrmann 1961 test driving the Porsche 787 in Hockenheim. Hans Herrmann started his racing career in early 1952, piloting a privately-owned Porsche 356 1500 in mountain races, rallies, and endurance races. A year later he and Richard von Frankenberg took overall fifth place in the Lyon-Charbonnieres rally. 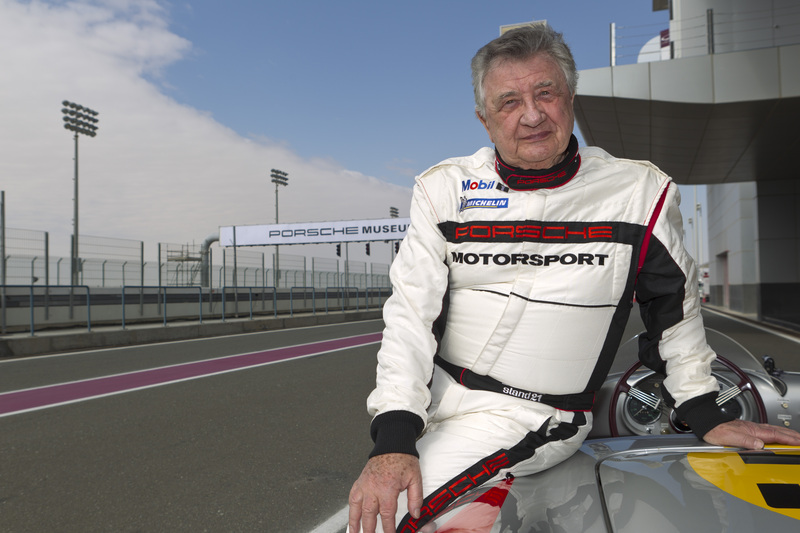 Porsche works driver Hans Herrmann turns 85. Porsche racing chief Huschke von Hanstein thereupon hired him for the Porsche Works team. Herrmann drove the 550 Spyder at the 1953 24 Hours of Le Mans, and together with Helmut Glöckler came in first in the 1.5 litre displacement category right off the bat. Sebring 1956: Hans Herrmann with Porsche Typ 550 Spyder. In 1953, at the age of 26 Herrmann won the title of German Sportscar Champion and got the attention of legendary Mercedes-Benz racing chief Alfred Neubauer, who hired him for his works team. Hans Herrmann piloted the Mercedes W 196 Silver Arrow in the premier category of motorsports, teaming with top drivers like Juan Manuel Fangio and Karl Kling. Parallel to that, in 1954 he continued to drive for Porsche in the smaller displacement categories. 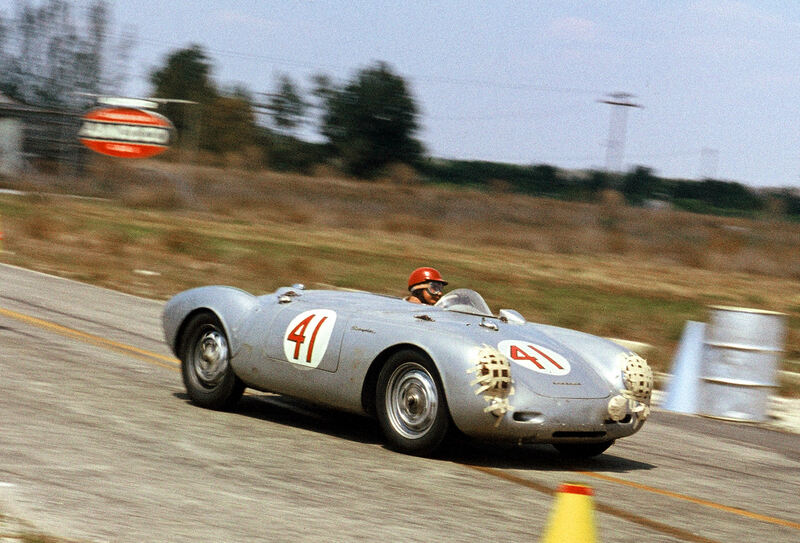 In the 550 Spyder he won widely noted class victories in the Mille Miglia and Carrera Panamericana. 1.000 km Nürburgring, Porsche 718 RSK: Porsche employee Huschke von Hanstein in conversation with Hans Herrmann, 1959. 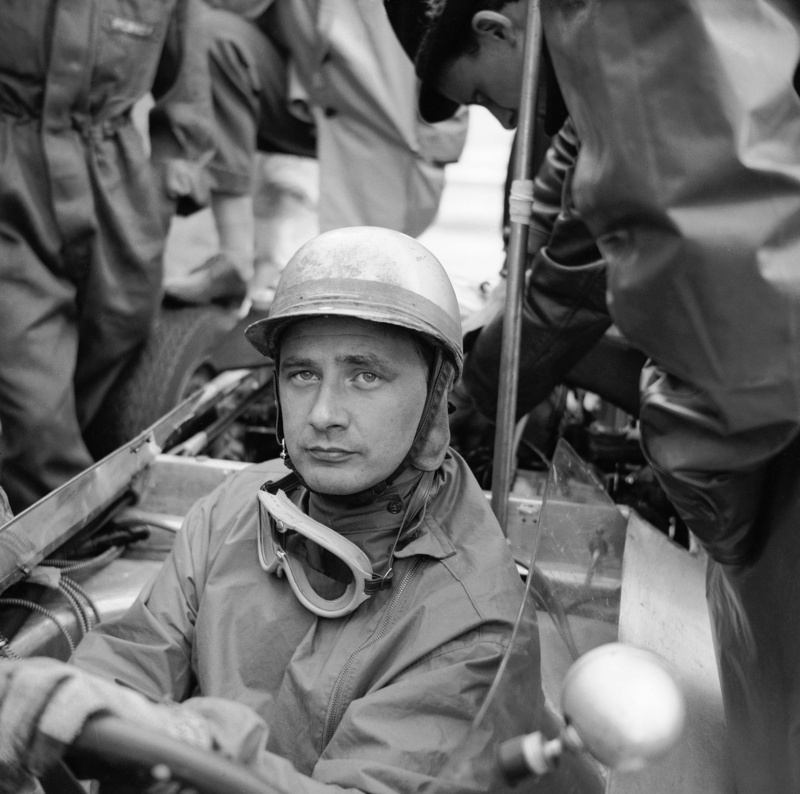 When Daimler-Benz pulled out of racing in 1955, Herrmann went on to drive Formula 1 races for Maserati and BRM, as well as other races as a Borgward works driver. 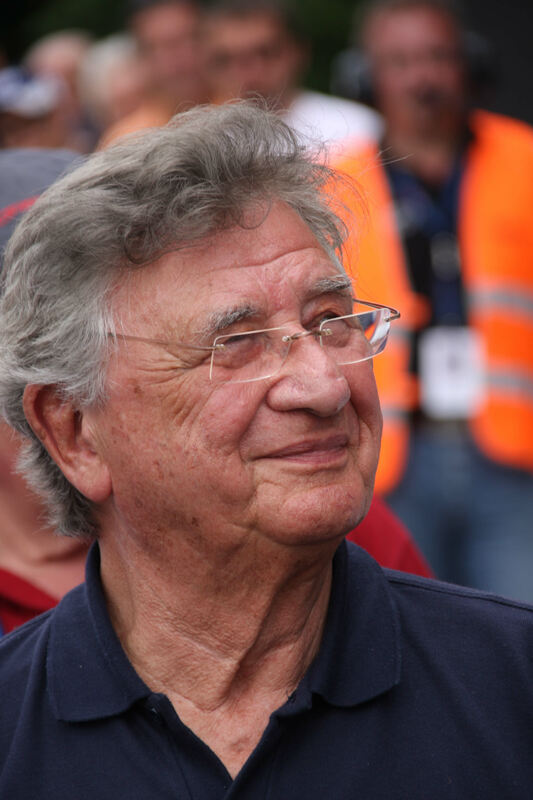 In 1957 he became European Vice “Bergmeister” – Mountan Champion – before returning to the Porsche works team in 1959. Together with Joakim Bonnier, in 1960 Herrmann took the overall victory at the Targa Florio in a Porsche 718 RS60 Spyder, and the Formula 2 championship in a Porsche 718/2. He also won the 12 Hours of Sebring with Olivier Gendebien. In 1963 he left Porsche KG and joined Carlo Abarth’s racing team. Hans Herrmann 1970 at 1.000 km Nürburgring with Porsche 908/03 Spyder. In 1966 Herrmann returned to the Porsche works team, not only driving in all the major long-distance races and European Mountain Championship races, but also doing countless test drives in Weissach. With pilots Hans Herrmann, Jo Siffert, Vic Elford and Rolf Stommelen, in 1969 the team took the World Sports Prototype Championship for the first time. 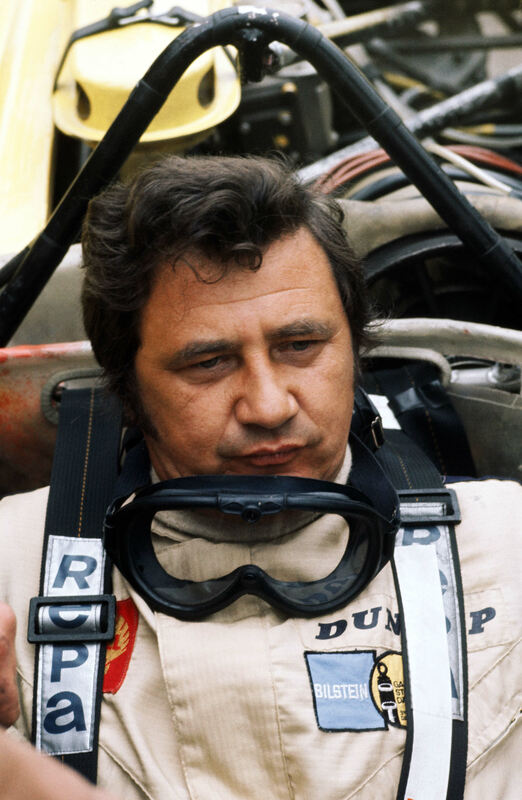 In 1970, at his eleventh Le Mans race Herrmann capped off his career with a bang, winning the first overall victory for Zuffenhausen in a Porsche 917 KH. He took this motorsports achievement as a suitable time to retire from active racing, after 42 years on the track. Since then Hans Herrmann has lived with his wife Magdalena near Stuttgart, successfully operating his company “Hans Herrmann Autotechnik.” As a pilot of historic racecars, he also takes part in many vintage car events for the Porsche Museum. Great post on an absolute legend! Thank you! He’s the man. I am so glad to have met him in person.